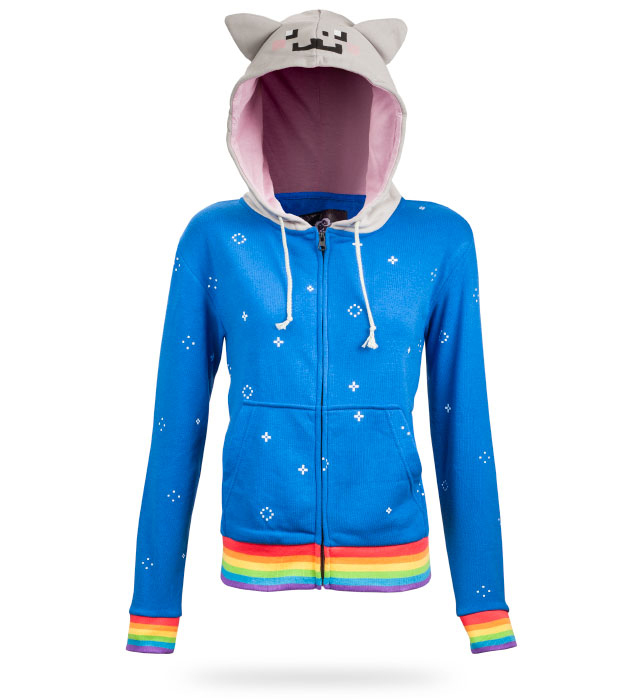 ThinkGeek has released a Nyan Cat Hoodie that is now available to purchase in their online store. Nyan nyan nyan nyan nyan nyan ny…. Yeah. Okay. It doesn’t seem right to use nothing but “nyans” for a product’s copy. Again. So we’ll say instead that this is the ultimate nyan costume. If you’ve ever wanted to pass for an 8-bit cat zooming through space, this is a classy way to do it. Stick a Pop-Tart in your facehole and the disguise is both complete and tasty.